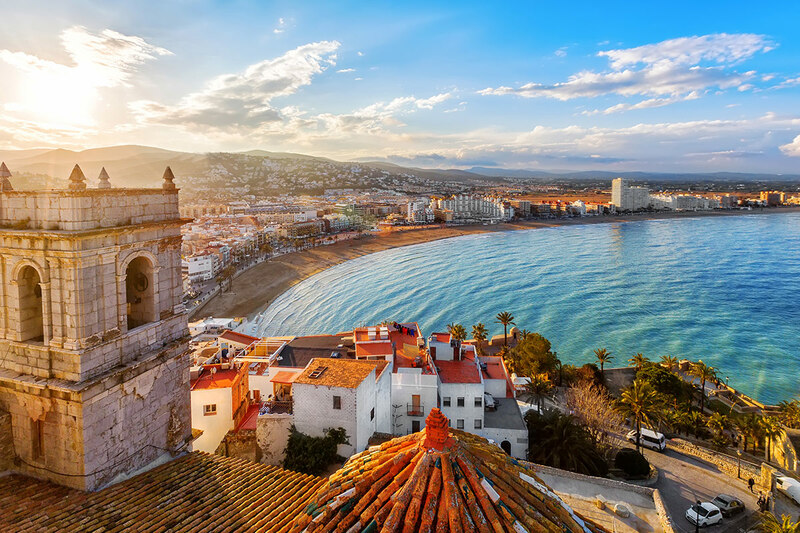 11 day Highlights of Spain tour including return international Etihad flights, breakfast daily, scenic transportation by rail, in-depth sightseeing and more. per person twin share |	Typically $7,241! 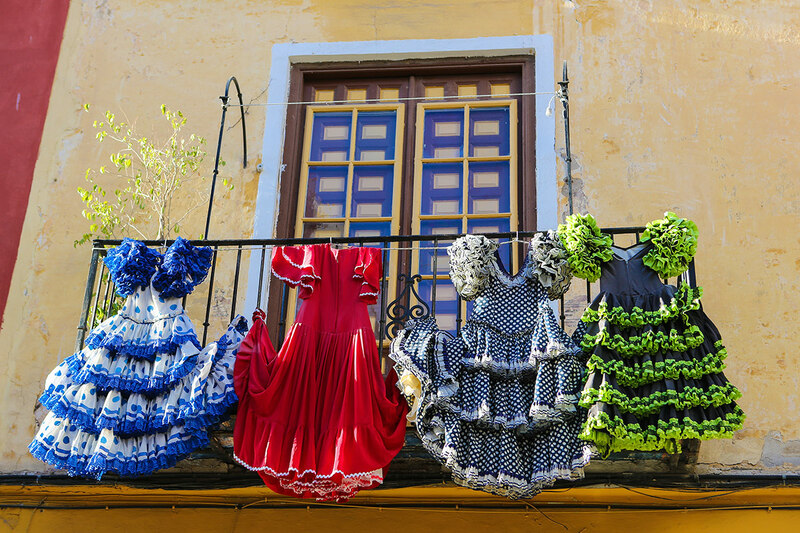 Unearth the culture, colour and charm of Spain with an amazing 11 day Highlights of Spain tour. 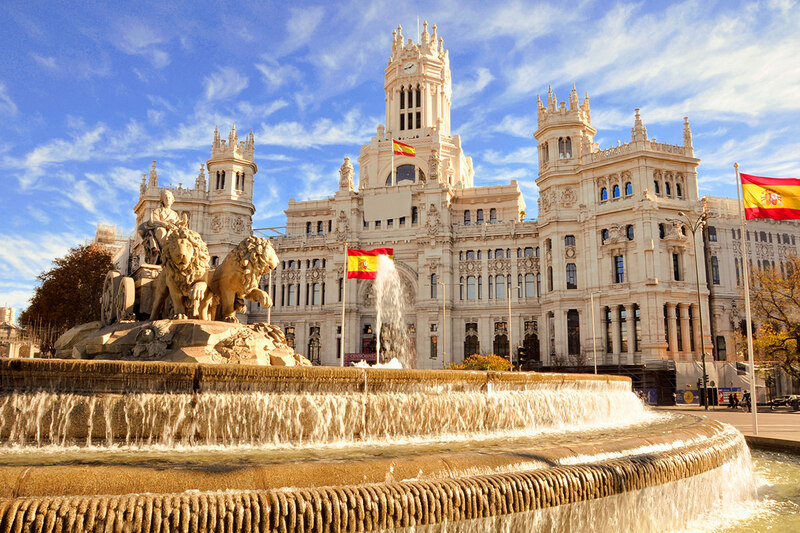 Discover the Spanish capital of Madrid, where you will be exposed to the medieval, renaissance and contemporary sides of the city. 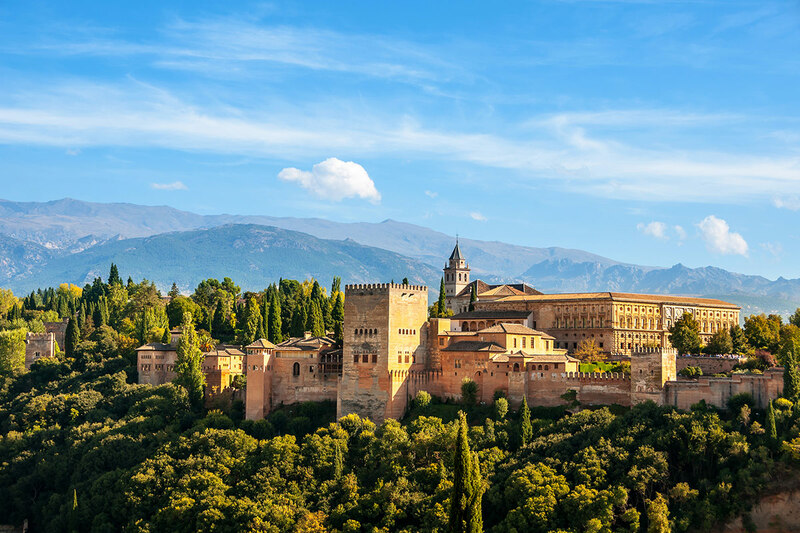 Visit the Royal Palace, Neptune fountain and the Ventas bullring, before boarding your train to beautiful Granada. 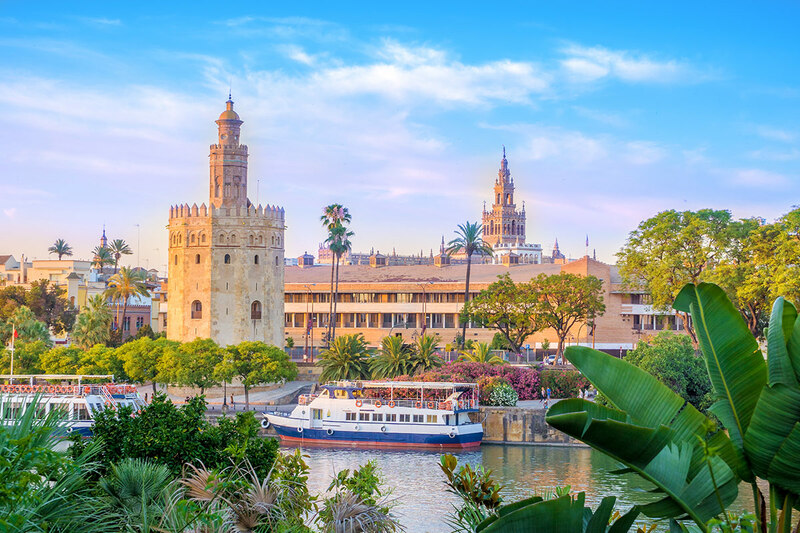 See the Basilica de San Juan de Dios, the San Jeronimo Monastery and the many other unique sights of this city, before continuing to Seville. In Seville, visit the Plaza de España and wander around Santa Cruz. Take a river cruise trip along the Guadalquivir and enjoy the beautiful views of the city, from where you’ll be able to see the famous calle Betis, Triana bridge and the Bullring. 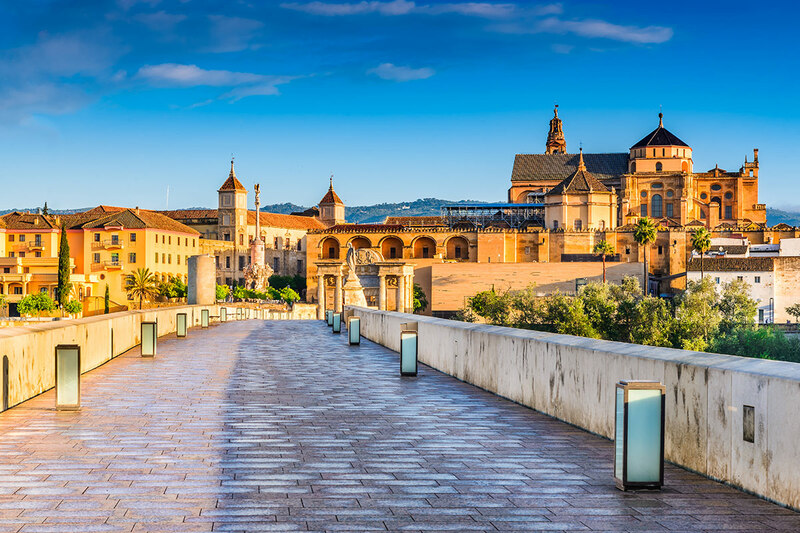 Unearth the Arabic influence in the city of Cordoba and journey up Spain’s east coast as you make your way to Valencia, where you will visit the city’s major sights including La Lonja, Quart Towers and El Miguelete. 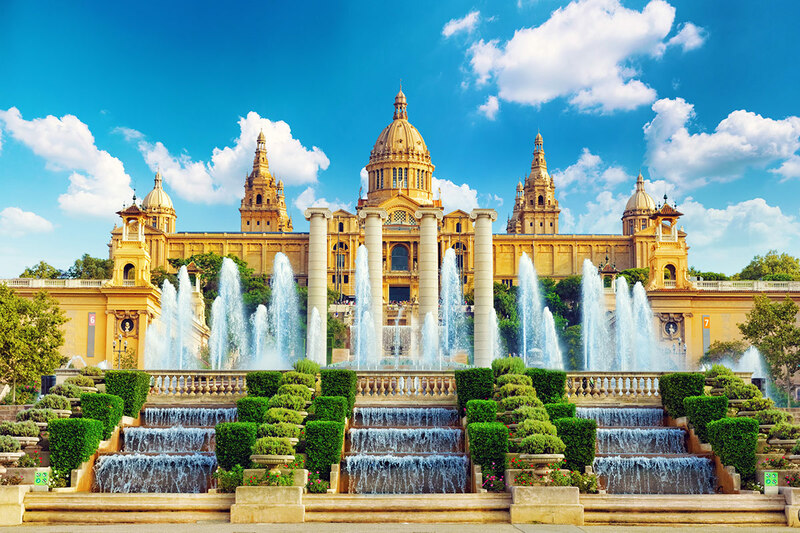 Arrive in the gorgeous city of Barcelona, a place that showcases the best of Spain’s mountainous and coastal landscape. See the most famous Gaudi houses, casa Battló and La casa Mila, before driving up to Mount Juïc, where you will take an incredible cable car ride to see the precious views of the city. Wander the old city and admire the Gothic Cathedral, before your amazing tour comes to an end. Your package includes return Etihad flights, accommodation, in-depth sightseeing and more. Arrive in Madrid and make your own way to your hotel. You are then at leisure to enjoy this historic city and relax after your flight. DormirDcine is located in the Salamanca District, just steps from the Avenida de América, the Paseo de la Castellana, the best shops of Calle Serrano and the Golden Mile, the Financial District, the best restaurants and tourist attractions and perfectly connected with downtown, the airport and the train and subway stations. Rooms are uniquely decorated by international artists and offer all the facilities required by the modern guest. After breakfast, enjoy a guided tour of the Spanish capital. You will see the medieval origins of the city, like the Arabic fortress, at the Barrio de la Moreria, characterized by the antiquity of its buildings and the taste of its typical restaurants. Admire the Hapsburg Madrid of Felipe II, with its Renaissance and Baroque buildings, then continue walking on Calle Mayor, Plaza Mayor and Plaza de la Villa. 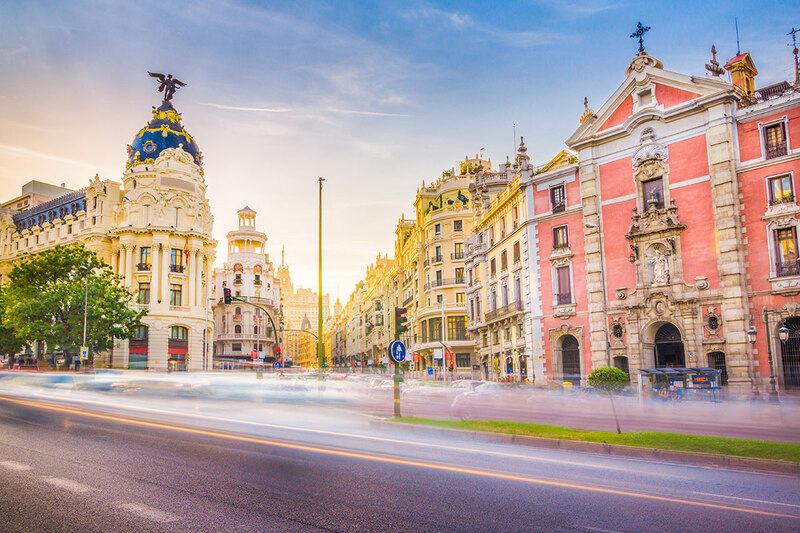 Moving on, experience Bourbon Madrid and the urban layout made by Carlos III, the Royal Palace, the Cibeles Fountain, Neptune Fountain and the Puerta de Alcala. Finally, you will get to know contemporary Madrid such as Gran Via, Paseo de la Castellana, Barrio Salamanca, Plaza de Castilla and Parque del Oeste, as well as the commercial and financial areas of Modern Madrid, like the emblematic Ventas Bullring or Santiago Bernabeu Stadium. During this tour, we will stop at the Hard Rock Cafe, where you will enjoy a free drink. In the afternoon, make your way to the station for your train to Granada. Relax as the train takes you south to Andalucia. Make your own way to the hotel and spend the rest of the day at your leisure. This charming property is strategically located just a 10-minute walk from the historical centre and next to Granada’s new metro, which makes it perfect for visiting the city. Granada’s Conference and Exhibition Centre and Science Park, one of Andalusia’s prime cultural attractions, are just a few steps away. This morning, explore Granada with a Hop-on Hop-off day pass. The tour will stop at the Alhambra, the Basílica de San Juan de Dios, the Generalife Gardens, San Jeronimo Monastery and many other sights of this unique city. In the afternoon, make your way to the station for your train to Seville. Enjoy the views as the train takes you west towards the capital of Andalucia. Make your own way to the hotel and drop your luggage. Set in Seville’s Old Town, this unpretentious hotel in a modern brick building is a 14-minute walk from the Metrapol Parasol structure, 1.5 km from Sevilla-Santa Justa train station and 3 km from Alcázar of Seville. Start off your day with a guided tour and discover the most emblematic monuments of Seville, the University, the Old Tobacco Factory scene of the story of Carmen, Bizet’s famous character, San Telmo Palace, The Golden Tower, Isabel II Bridge and the Macarena Basilica. 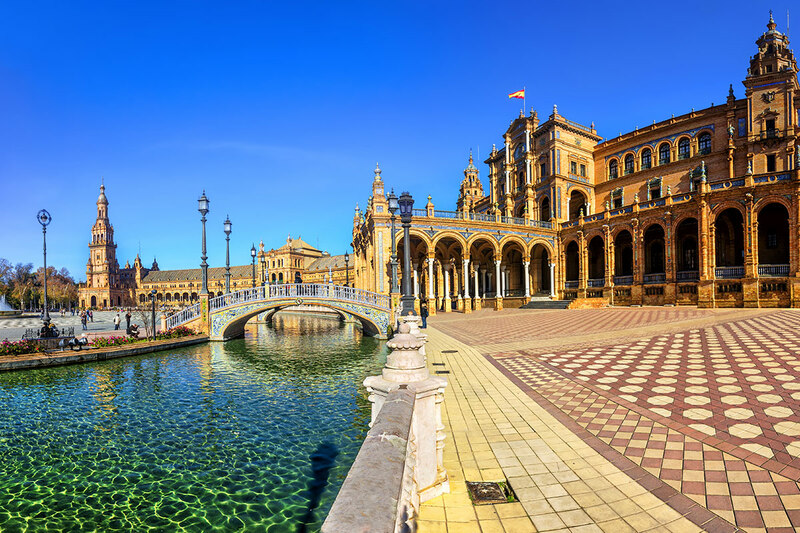 Visit the Plaza de España, the centrepiece of the 1929 Iberoamerican Exposition. Move on to Santa Cruz, the famous Jewish quarter: a labyrinth of narrow streets, which lead to the gorgeous Plaza de los Venerables. Later, continue with a river cruise trip along the Guadalquivir and enjoy the of views of the city. See the untouched sides of the Golden Tower, the famous calle Betis, the Bullring, and Triana bridge – the oldest of its kind within city grounds. There will also be the opportunity to get a glimpse of the famous Isla de la Cartuja and its Monastery where Cristopher Colombus lived. In the evening it’s time for Flamenco dancing! Watch a performance in the Macarena district that expertly demonstrates the flair and fire of Spanish flamenco and enjoy a complimentary drink. In the afternoon, make your way to the station for your short journey to Cordoba. Make your own way to the hotel, drop your luggage and continue with a tour of Cordoba onboard a Hop on-Hop off bus service. See the Puente Romano bridge, the Bath of the Caliphates and many other sights showcasing the Arabic influence in the city’s architecture. The exquisite decor in the Soho Boutique Capuchinos Hotel & Spa rooms is combined with carefully selected services and facilities such as free Wi-Fi and a terrace bar with stunning views of Cordoba. This morning, make your way to the station for your train service to Valencia. Kick back as the train takes you towards the east coast of Spain. Make your own way to the hotel and spend the rest of the day at your leisure. This hotel is located in the quiet Campanar-Tendetes area of Valencia, just a 15-minute walk from the historic centre, and even closer to a green park, movie theatre and the Valencia Institute of Modern Art. Metro services and shopping centre facilities are just around the corner, making for a perfect spot to explore this gem of a city. 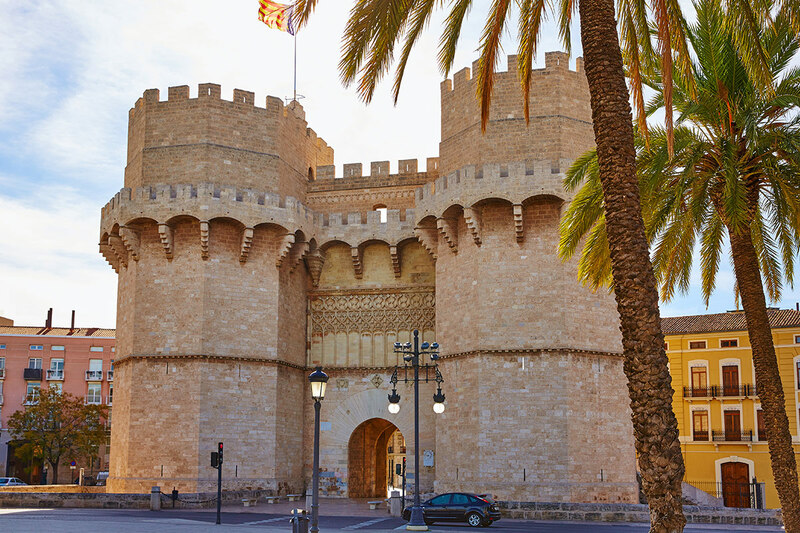 After breakfast, explore Valencia onboard a Hop-on Hop-off bus service. The tour will stop at all the major sights including La Lonja, Quart Towers, Central Market, Serrano Towers and El Miguelete. In the afternoon, make your way to the station for your train to Barcelona. Enjoy the ride as the train takes you north along the coast to the capital of Catalonia. Make your own way to the hotel and spend the rest of the day at your leisure. 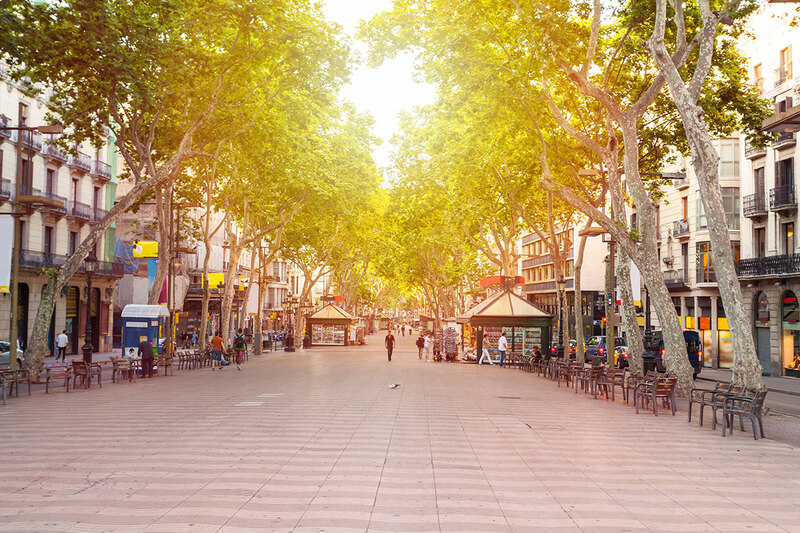 The Plaza de Cataluña and the famous Ramblas of Barcelona are just 10 minutes away on foot. The friendly staff are on hand to provide information on the city and the main places of interest. Sants train station is 500 metres from the hotel and beautifully connects to your journey. 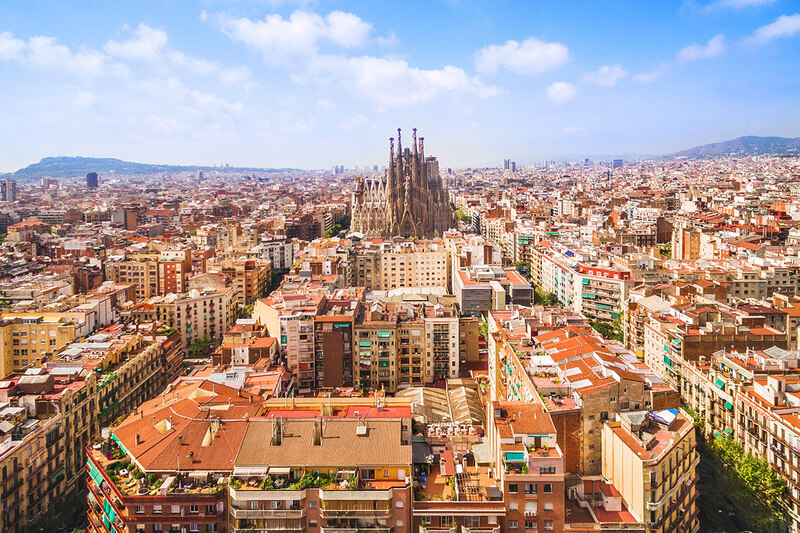 After breakfast, join a guided sightseeing of Barcelona where history and traditions go hand in hand with emerging fashion and new trends in cuisine, culture and art. Barcelona offers the possibility to enjoy the sea as well as the mountains. Start with the Paseo de Gracia, where you will see the most famous Gaudi houses, casa Battló and La casa Mila (La Pedrera) as well as other majestic buildings of the Modernism era. Learn about drastic changes the city underwent with the organisation of the Olympic Games in 1992. You will drive by the Olympic Village, the Olympic Port, the beach and the fisherman’s quarter, called Barceloneta, and finally the Plaza de Colon with its famous Columbus monument, indicating which way he sailed to discover the Americas. This point is also the beginning of the famous Ramblas of Barcelona. Continue the visit driving up Mount Juïc where you will enjoy a cable car ride with precious views of the city. The bus will pick you up at the last station and you will pass by the sports facilities built for the 1992 Olympic games: the Lluis Companys stadium, the Palau Sant Jordi, the Olympic swimming pool Picornell and finally the Spanish Village. We will visit this charming place for your chance to admire a collection of traditional buildings from all over Spain, and a demonstration of a selection of the handcrafts made in this country. After, we head back down to the city centre. Take in the Venetian Towers, the Mount Juïc fountains, the MNAC and the commercial centre Las Arenas, which was rebuilt over the ancient Plaza de Toros. Arrive at Plaza de Catalunya, the starting point of the guided walking tour of the old city. Your guide will take you to the Gothic Cathedral, through the narrow streets of the Gothic quarter and plaza Sant Jaume where the City Hall is located, ending with a visit of the headquarters of the Catalonian government. Bid farewell to Spain and make your own way to the airport today. Excludes: Transfers, Travel insurance, Visas, Personal expenses, Anything not mentioned or “optional” or “own account” in the itinerary.